Alarm production is strong in Asia, with more sophisticated offerings. A&S looks at key technologies, along with top regions and challenges for alarm vendors. Intrusion detectors are basic and effective security devices. With adjustable settings for alarm sensitivity, intrusion detectors sense for genuine threats and go off. However, a number of legitimate events can trigger an alarm, such as a family pet or air conditioning. For PIR detectors, their sensitive CCDs use temperature to detect motion. Several solutions deploy smart technology so alarms respond only to true emergencies. Chinese vendor Longhorn has made alarm products since 2001. "One of our PIR sensors integrates Italian-certified technologies, Russian techniques and a Chinese-patented temperature sensor for an integrated solution," said Tony Guo, Manager at Longhorn. Another product features a patented optical component, better for long distances and capturing events at more accurate angles. Quality is a top concern for detectors. 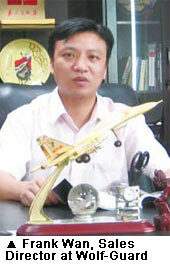 "We make great efforts to keep the consistency of product," said Ken Li, GM at Chuango. "We ensure that every batch of products is the same as the original sample." Eliminating false alarms is a priority. "Suren is releasing a new outdoor motion sensor with dual-frequency IR (DFIR) technology for accurate human motion detection with superior false-alarm rejection," said Eric Micko, Director of R&D, Suren Systems. "New DFIR anti-sway processing distinguishes swaying objects from persons moving across the sensor's monitored area." Sunwave uses two IR detectors for two different zones, which only alarm when both zones are breached. "The false-alarm possibility is dramatically reduced," said Billy Chan, GM at Sunwave. "It can be adjusted to recognize different pets or moving objects according to different definitions: wavelength, temperature, height and reflection frequency." encasing it in the detector. The Wolf-Guard motion detector is mounted on a sensor head and is very sensitive, with nine levels of sensitivity. "Other companies have microwaves and multiple points, but not us," said Frank Wan, Sales Director at Wolf-Guard. "We use a waterproof IR cover and make it dust-proof, so it's less easy to trigger false alarms for outdoor applications." As alarms are designed to detect intruders, they can also detect perfectly innocent events. "False alarms are caused by many different things," Guo said. "In homes, there are wireless devices, cell phones and air conditioning, which can all trigger false alarms." One of the most common causes is operator misuse. Factors resulting in the false alarms include aging lines, installation location and product stability, Lee said. sometimes set off an alarm, so we make our components less noisy," Guo said. "Another way is using multiple technologies to detect if an intrusion is real." Pet immunity features in more recent detectors. "There are two ways to deal with pets," Guo said. "One is by physics; the other is by components and algorithms." The traditional physics method relies on animal size and height, as pets are shorter than humans. "By physics, the alarm would set zones by height, with one for animals," Guo said. The other method analyzes motion, with components running programs. "Our algorithms analyze animal motion compared to people, as people walk at a regular gait." Some vendors are making their products convergence-ready. 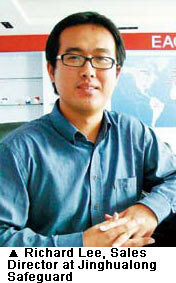 PIR detectors are part of complete smart-home solutions, said Kevin Wang, Marketing Manager for Scientech Electronics. Along with home automation systems, detectors are integrated with video as well. "Suren is releasing a new outdoor network camera with illumination and mounting bay for an outdoor motion sensor," Micko said. "Standard versions will be available, as well as OEM versions with customer specified, third-party PCB cameras and IP-interface PCBs." Longhorn has also developed intrusion products designed for total security, as its portfolio includes video. "The products will follow triggered alarms, with alarm integration added to network cameras," Guo said. PIR detectors can be found in numerous installations, with wired or wireless depending on the application. "Wired detectors are more suitable for commercial areas and installation companies, while wireless detectors are more suitable for families," Lee said. In residential applications, both wired and wireless deployments are seen. "At home, wireless solutions take up less space, since they don't run wires across the floor or block windows," Guo said. Wired devices are considered more reliable for high-security applications. "Telecoms use a special wire, as wired solutions are more reliable and have less interference compared to wireless," Guo said. "At banks, they like wired. Unmanned sites have no operators to change the batteries, so wired alarms are preferred." Larger applications also prefer wired solutions. "Normally, home users will take more wireless sensors, while the general engineering contractor or large-scale public places will take more wired sensors," Li said. Striving for improvement is how Asian vendors have stayed ahead of hurdles. "Costs are competitive with more players," Guo said. "We must develop our own chips for the lowest cost. There's the transition to full digital, which will be a big challenge for technology." Strengthening technical know-how is a top priority. 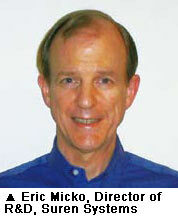 "Designing reliable motion sensors is a multifaceted challenge," Micko said. "While reliably detecting moving persons, the motion sensor must reject changing-temperature, nonmoving objects, electromagnetic interference, air currents, mechanical shocks, bright white light, insect intrusions, tampering and so on. Suren engineers' extensive motion sensor design experience is the key to customer satisfaction." Manufacturers want to increase product competitiveness. "As basic technology improves, intrusion products face opportunities and challenges," Lee said. "We strive to apply new technologies for detection and transmission, along with lowering costs, for our long-term goals." Making relevant solutions is part of product competitiveness. "New products should be appropriate for sales and markets, which should keep pace with the times," Li said. Listening to customers will be a continuous effort. 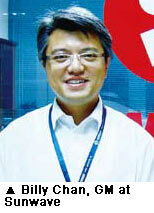 "We customize products by customer needs," Wan said. "We know market needs so our alarms satisfy most needs." Useful innovative products must also be efficient. "This is a new challenge to reduce manpower and be energy-saving," Chan said. With lofty goals for humble equipment, Asian alarm vendors promise to remain dominant worldwide in the long haul.